William Barr, in a letter to lawmakers, also says he does not intend to submit the report to the White House for review first. WASHINGTON — Special counsel Robert Mueller III’s report detailing his investigation of President Trump and Russia’s election interference will be delivered to Congress “by mid-April, if not sooner,” Attorney General William Barr said Friday in a letter offering important new details about how the document will be edited before its public release. Barr’s letter aimed to reassure lawmakers and the public that the process for handling the report – which numbers nearly 400 pages, he said – would be aboveboard and fair. It also underscored just how much political distrust may fester as long as the report remains secret, and Democrats and Republicans accuse each other of misrepresenting the contents of a document they haven’t seen. 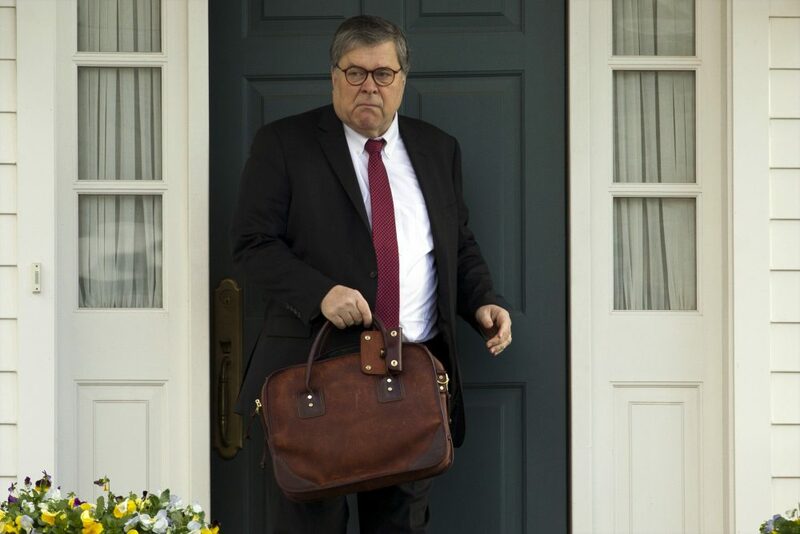 “Everyone will soon be able to read it on their own,” Barr wrote, adding a key new detail – that he does not plan to submit the report to the White House beforehand. Speaking from his Florida resort, Mar-a-Lago, Trump told reporters Friday afternoon that he was comfortable with Barr’s handling of the high-stakes case. Barr’s Sunday letter also said the special counsel withheld judgment on whether Trump tried to obstruct justice during the investigation. Since that Sunday letter, Democrats have demanded to see Mueller’s full report immediately – and they have threatened to issue a subpoena for the document if they don’t get it by Tuesday. Barr’s new letter seeks to assuage such concerns and obtain more time to finish his review of Mueller’s work. The attorney general has said he needs to redact any grand jury information from the document, as well as any information that could adversely impact ongoing investigations. Rep. Jerrold Nadler, D-N.Y., chairman of the House Judiciary Committee, said Barr’s new letter did not satisfy his demands for the complete report. “(W)e feel that it is critical for Attorney General Bar to come before Congress immediately to explain the rationale behind his letter, his rapid decision that the evidence developed was insufficient to establish an obstruction of justice offense, and his continued refusal to provide us with the full report,” Nadler said in his statement. Barr’s letter Friday disputed the characterization that his earlier notice to Congress was a “summary” of the Mueller report.